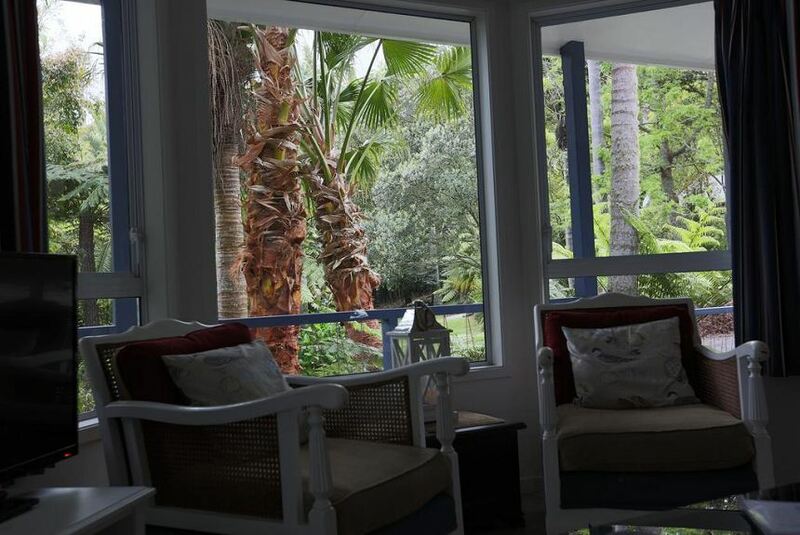 Central Cottages is just 15 minutes' walk from the heart of Kerikeri. It offers a range of self-contained accommodation options, set amongst 6 acres of lush natural gardens. Guests enjoy free WiFi and free on-site parking. It features a free airport shuttle. All holiday homes feature a private terrace offering picturesque views, laundry facilities and a kitchenette with a hot plate, microwave, small refrigerator and kitchenware.. The lounge area includes a flat-screen TV and a DVD player. This tranquil retreat features a pond, and is home to an array of bird life. There are a range of shopping and dining options within 5 minutes' walk. It is 4 minutes’ drive from Kerikeri Golf Club and 6 minutes' drive The Stone Store.